PolyDrain products offer full surface drainage solutions for synthetic turf applications where the ability to rinse animal waste material through the synthetic turf is desired. Primary applications include pet parks, dog runs, pet facilities, and landscaping. 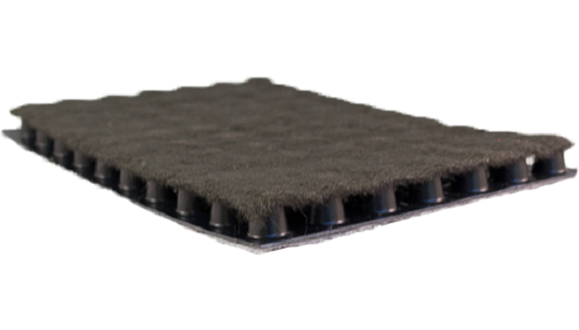 A variety of PolyDrain systems exist, including options with or without an attached geotextile fabric on the top, bottom, or both. 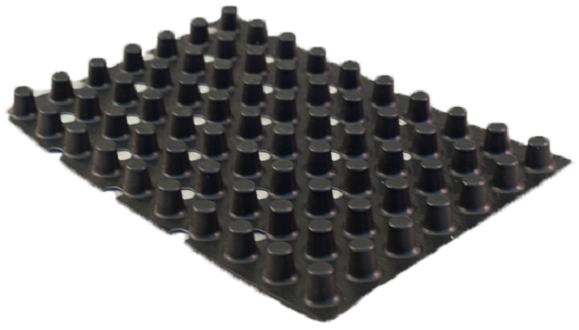 These patented prefabricated drainage products consist of a high compressive strength formed polystyrene core that is non-absorbent. PolyDrain products are manufactured with more than 50 percent post-industrial recycled content and are recyclable at the end of their useful life. 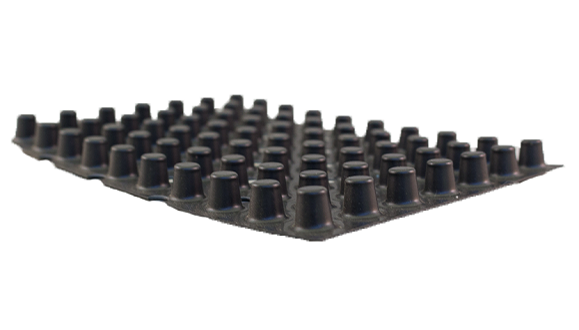 PolyDrain is made from polystyrene and includes an optional geotextile fabric on the top, bottom, or both sides of the drainage system. It comes in 4' x 50' rolls with a roll lay width of 46 1/4" and a roll coverage area of 462 SF/ roll.